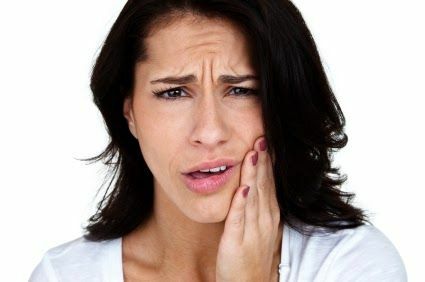 Tooth sensitivity is a common dental problem; it may be a intolerable continuous pain in teeth. Many people in the world suffering from the teeth sensitivity, decay, teeth whitening problem and bleed with pain into gums. Even you are losing smile when this kind of discomfort occurs. Brushing too hard that harm your teeth. Cracked teeth and infected root. Excessive use of chemical mouthwash and cleaning agent. Teeth pain is mostly occur when the infections reaches to the teeth root. Try to use some natural remedies and treatment to better take care of your teeth or even your mouth. Try these following home remedies to get rid from sensitivity and pain. 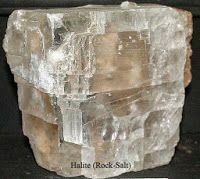 Rock salt is an excellent remedy that works to kill the bacterial infections and helps to get quick relief from pain and sensitivity. Take some rock salt and make fine powder by grinding.Then, therein add fourfold amount of mustard-oil and mix it well. Gently Massage this salty oil slowly-slowly on gums and teeth with your finger. Rinse your mouth with lukewarm water after few minutes of massaging. This remedy makes your teeth stronger and white and free from bugs. Also it is more beneficial to treat from pyria. If bleeding while applying the remedy on the teeth and gums then ignore it. You can add dried cloves into this remedy. Clove is the ancient herb that has been used to treat with tooth pain and other dental problems. Apply 3-4 drops of clove oil with cotton ball on affected area to get rid from tooth sensitivity and toothache. Try ice compress method as - Wrapping a ice cube into a thin plastic bag is coated by cotton cloth; apply it directly on aching tooth for about 15 minutes to get relief for tooth pain. The fresh row garlic clove really helpful to great relief in tooth ache and sensitivity. Crush 2-3 garlic cloves to make a paste; apply this paste directly on affected teeth for about 15 minutes. This is a powerful treatment for sensitivity and pain. Salt water is a natural cleaning agent that works as antibacterial ad for dental ailments. Mix a teaspoon of salt into a glass of warm water and rinse you mouth well as mouth cleaner. this will beneficial for teeth sensitivity and pain. Try to avoid excessive heat and cold things or foods to stay away from sensitivity and other dental problems. Try to use soft brush for clean your teeth and care your teeth.